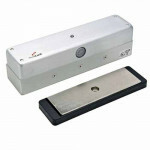 3000 Dynalock Magnetic Lock 12/24 Volt AC/DC, 1500 lbs Holding Force, Single Outswinging Door,..
3000DSM Dynalock Magnetic Lock with Door Status Monitor 12/24 Volt AC/DC, 1500 lbs Holding For..
3000HSM Dynalock Magnetic Lock with High Security Monitor 12/24 Volt AC/DC, 1500 lbs Holding F..
3000LCB Dynalock Magnetic Lock Less Circuit Board 12/24 Volt AC/DC, 1500 lbs Holding Force, Si..
3000LP Dynalock Magnetic Lock with Door Status Monitor and Low Power Option 12 Volt AC/DC, 150..
3000VOP Dynalock Magnetic Lock w/Value Option Package 12/24 Volt AC/DC, 1500 lbs Holding Force..
3000VOP-LED Dynalock Magnetic Lock w/Value Option & LED 12/24 Volt AC/DC, 1500 lbs Holding..
Dynalock 3002 Double Magnetic Lock 12/24 Volt AC/DC 1500 lbs Holding Force for Double Outswinging Do..
3002DSM2 Dynalock Double Magnetic Lock w/Door Status Monitor 12/24 Volt AC/DC 1500 lbs Holding Force..
Dynalock 3000HSM2 Double Magnetic Lock w/High Security Monitor 12/24 Volt AC/DC 1500 lbs Holding For..
3002VOP2 Dynalock Double Magnetic Lock w/Value Option Packege 12/24 Volt AC/DC 1500 lbs Holding Forc..
3006DSM Dynalock Free Egress Magnetic Lock with Door Status Monitor is a full size 1500 lbs. 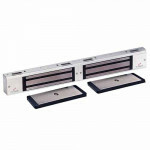 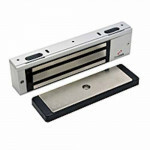 holding..
3006HSM Dynalock Magnetic Lock Free Egress w/High Security Monitor is a full size 1500 lbs. 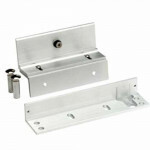 holding ..
Dynalock TJ30 Inswinging Conversion Kit to convert 3000 Series Maglock to Inswinging..
Dynalock TJ32 Conversion Kit to convert 3002 double Maglock to Inswinging..
2011 Dynalock Magnetic Lock 12/24 Volt AC/DC, 1200 lbs Holding Force, Single Outswinging Door,..
2011DSM Dynalock Magnetic Lock with Door Status Monitor 12/24 Volt AC/DC, 1200 lbs Holding For..
2011HSM Dynalock Magnetic Lock w/High Security Monitor 12/24 Volt AC/DC, 1200 lbs Holding Forc..
2011LP Dynalock Magnetic Lock with Door Status Monitor and Low Power Option 12 Volt AC/DC, 1200 lbs ..